Home»Gospel of Jesus Christ»What is the Gospel? So what is the Gospel? It’s broken down into 2 parts…the Bad News and then the Good News. We know that Adam and Eve did not physically die because they were sent out of the garden of Eden. So what was God referring to? Well, there are 3 types of death. Physical death: Our physical bodies die as one aspect of God’s judgment on sin (our disobedience). Thus we are separated from this world and all that is in it. This death is understood by all of us. Spiritual death: This death is not easily understood. God created people not only as physical beings but we are also spirit being so that we would be able to relate to Him, because He is not a physical being but a spirit being. God told Adam and Eve, our first parents, that they would die if they disobeyed Him. When they sinned, God immediately rendered their spiritual senses inoperative. They were cut off from God and His life and thus were spiritually dead. This death has been passed down to all of us so that we were born with spirit sensors which did not work. We were not in a right relationship with God when we came into this world. 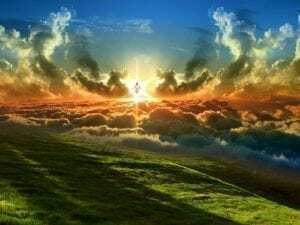 Eternal death: This death takes place after our physical death if we do not die in a right relationship with God and spiritually connected to Him. When we die physically we enter into an eternal death and there will be nothing good from the hand of God forever and ever. There is no hope for us once we have entered into eternal death. From this we learn that sin seperates us from God. What is sin? Simply put, it is anything short of perfection. None of us are perfect. We all fall short in some form or another. We say bad things, we do bad things, we think bad thoughts. Some of us commit these sins to a greater degree than others but the bottom line is God cannot accept us with even one sin. Think about what you did or said or thought yesterday and this will give you an idea of your condition. That makes every single human being a sinner. God cannot accept us into His presence with our sin. He has to judge us for our sins. Someone has to pay for that. God came in the form of a man which was born of the virgin Mary and conceived by His Holy Spirit making him 100% human and 100% diety. His name is Jesus Christ. Jesus Christ lived a perfect, sinless life so that He could die on the cross for our sins. He paid the price for us. He became our subsitute. God took all of your sins from your past, present and future and punished Jesus for them in your place. This is the greatest love story every told. He did for you what you couldn’t do for yourself so that you could be spritually connect to God. When Jesus died He rose again on the 3rd day. This is a sign that He paid for all of your sins. If He did not pay for your sins in full he would not be resurrected. He is now seated at the right hand of God the Father. For those who believe and receive what has already been done for us by Jesus Christ, God sends His Holy Spirit to live on the inside of us to regenerate and renew us. The Holy Spirit is the third person of the trinity (Triune God). With the Holy Spirit we are now in perfect communion God and we are now spiritually alive. When we die the physical death we are now eternally connected to God and have eternal life instead of eternal death. We do not and cannot measure up to God’s standard of perfection. God is just and must punish us for our sins. The punishment is eternal separation from Him. Jesus Christ is God who became man, went to the cross and solved our problem of sin by being punished as our substitute. He came back from the dead. God is now able to offer you the gift of eternal life. You now have access to God and Communion with Him. If you prayed this prayer you are on your way to a new life. Find a church in your area that teaches the bible. 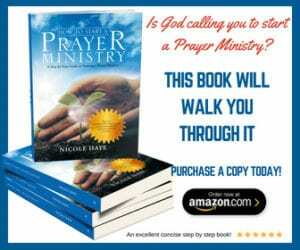 You can use our statement of faith as a guide to finding the right church or you can send us an email and we will be happy to help you nicole@missionariesofprayer.org God Bless You. Tags:adam and evegod standard of perfectiongod's judgmentgospelphysical spiritual eternal deathprayersin sinnerswhat is a gospelWhat is the Gospel?